A ChangeMaker is someone who takes creative action to formulate a solution to a problem for impact. 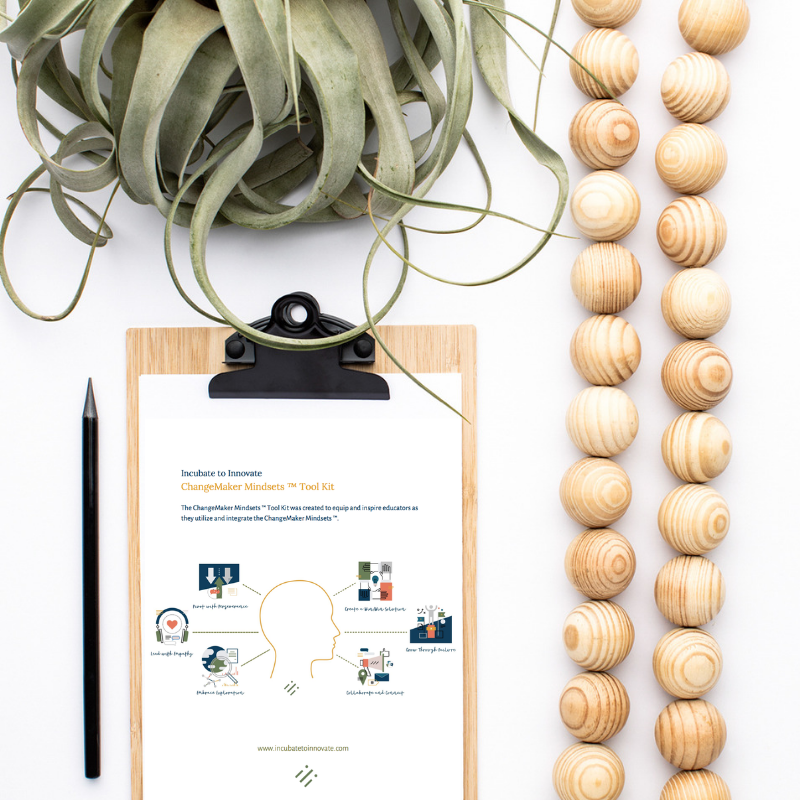 The 6 mindsets help leaders, teachers, community members, and students to reframe thinking toward collaboration, creativity, exploration, and innovation. 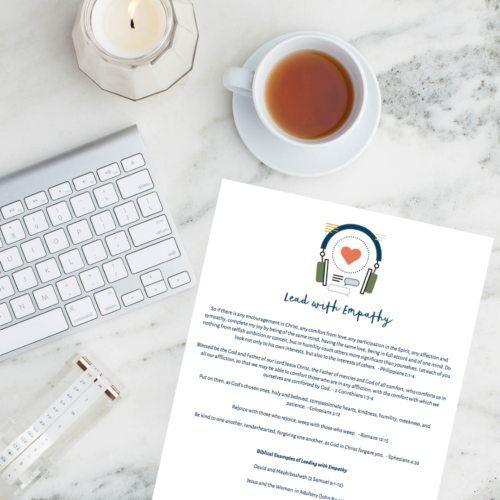 This Tool Kit includes 14 robust implementation ideas for how to utilize the ChangeMaker Mindsets ™ in your classroom and/or learning community. 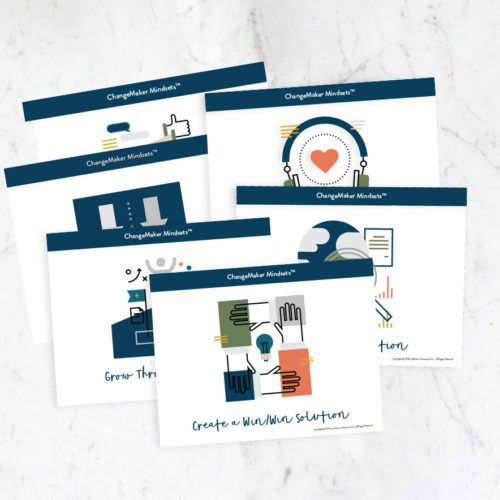 It also contains all of the ChangeMaker Mindsets ™ Resources for purposeful preparedness: ChangeMaker Mindsets ™ Awards, ChangeMaker Mindsets ™ Guide, ChangeMaker Mindsets ™ Posters, Set of 6; ChangeMaker Mindsets ™ Cards; ChangeMaker Mindsets ™ Posters with Descriptions, Set of 6. 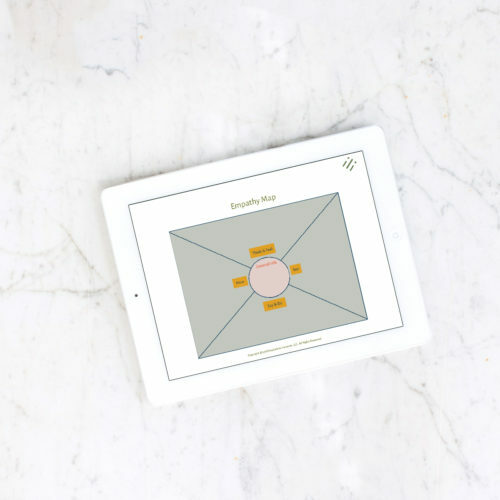 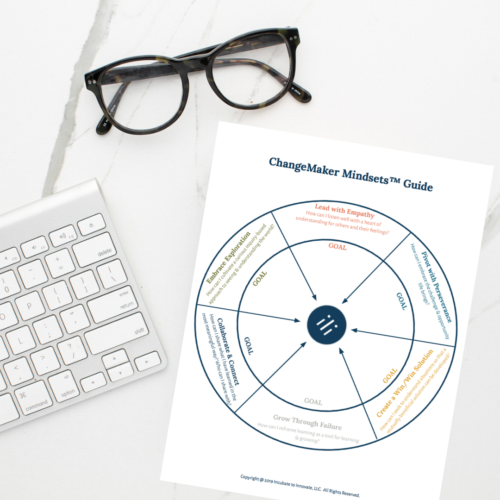 The ChangeMaker Mindsets ™ Tool Kit is a colorful, 33-page PDF download.